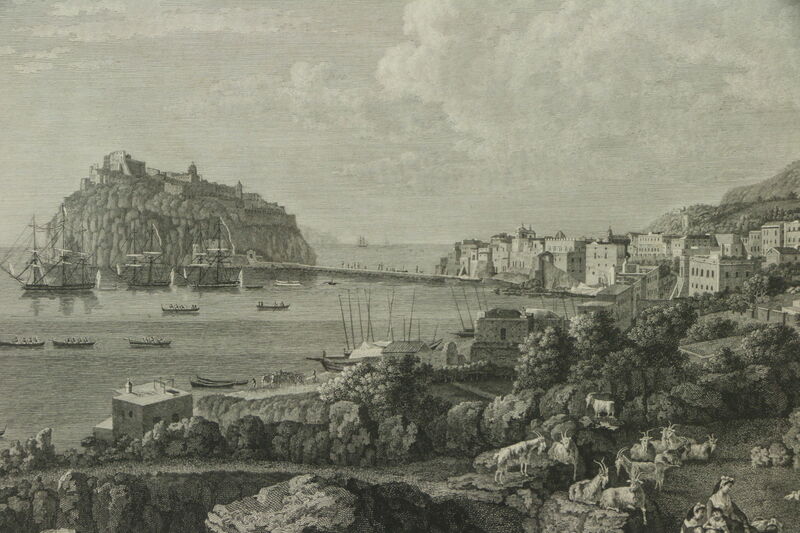 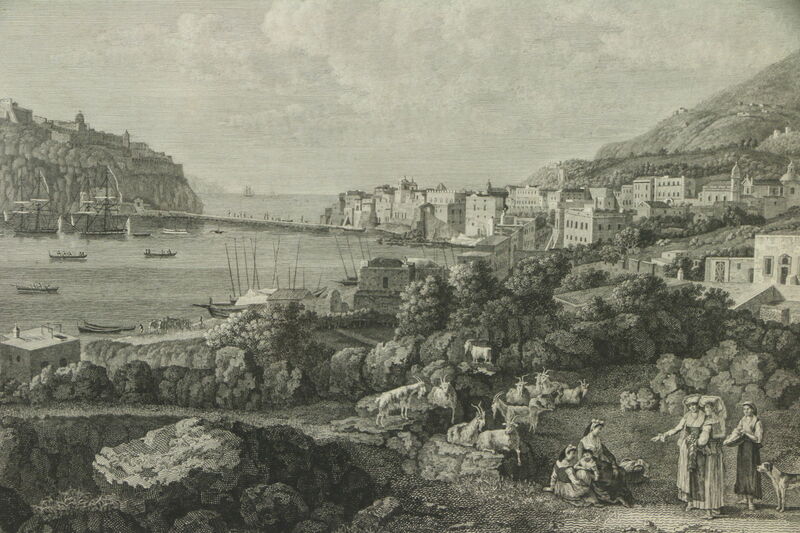 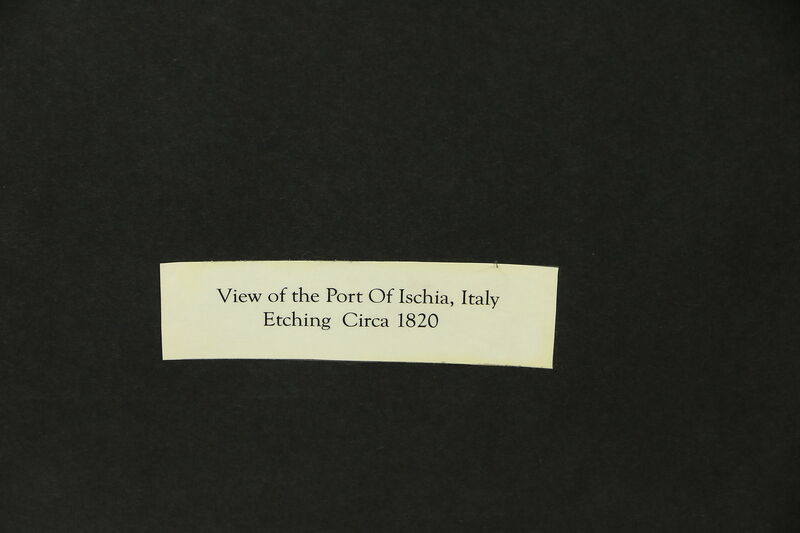 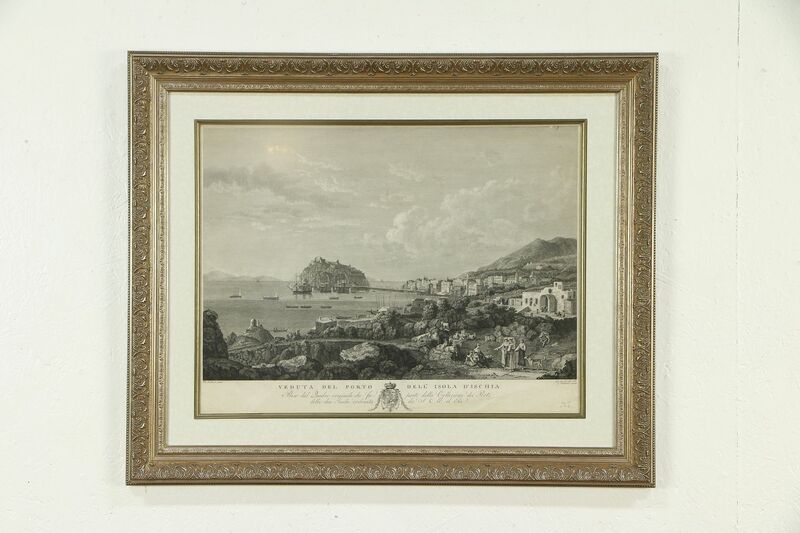 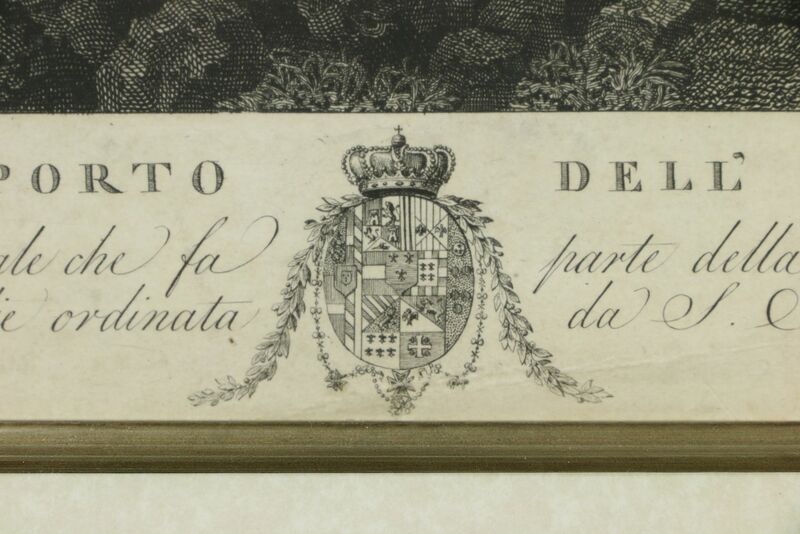 This engraving of the port of the fabled Isle of Ischia in the Gulf of Naples, Italy, dates from about 1820. 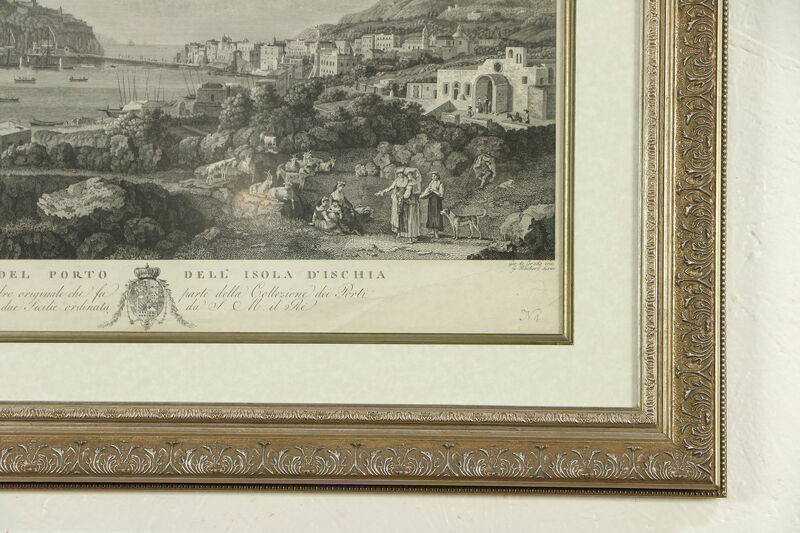 A signature of the painter "Ph. 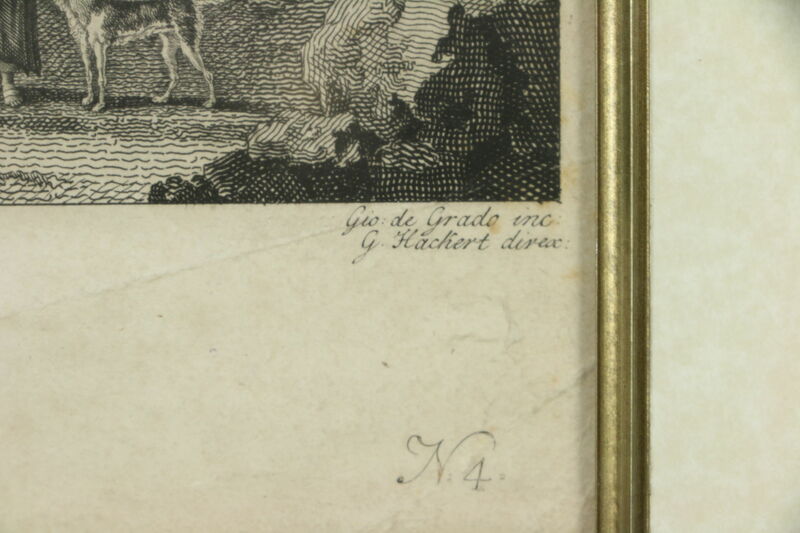 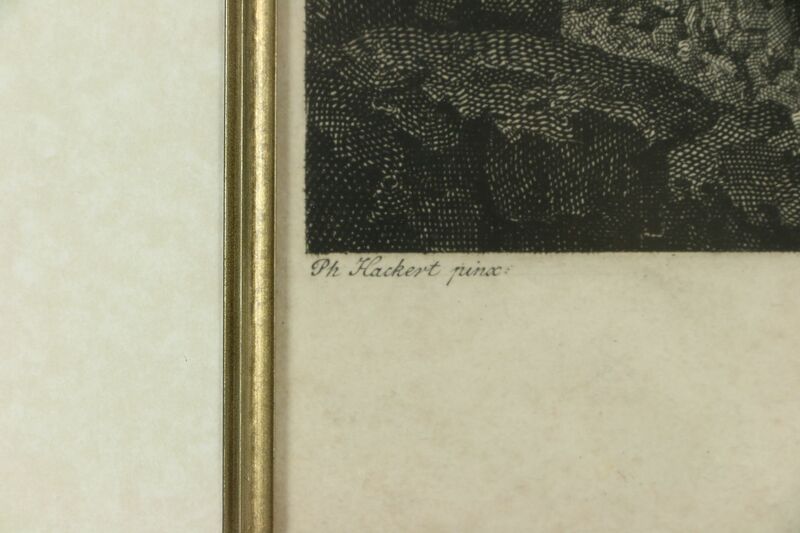 Hackert" is lower left, the engraver's signatures on the right plus "N. 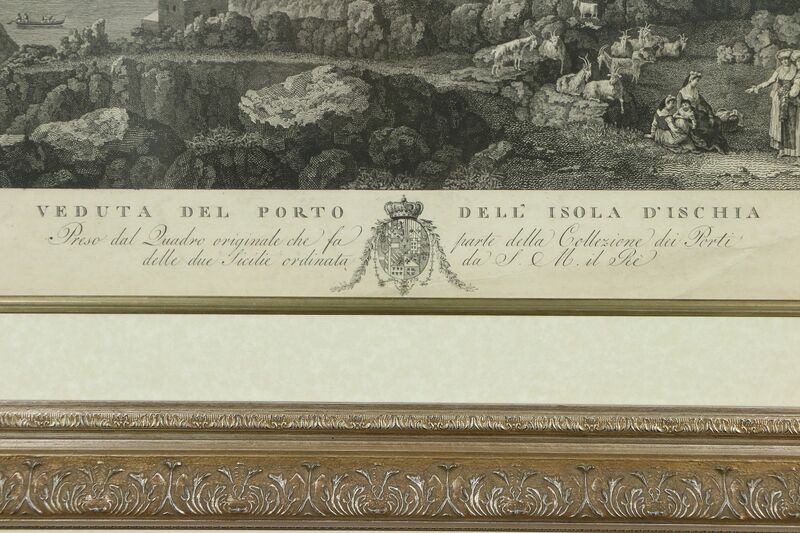 4." 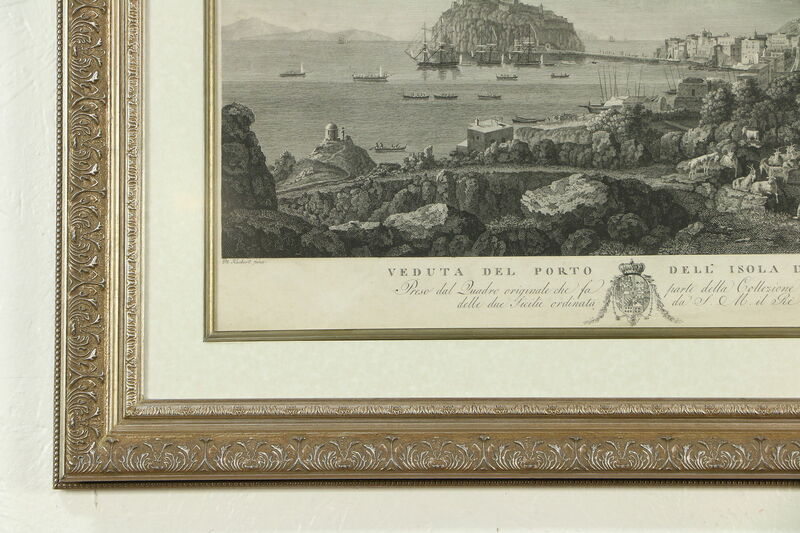 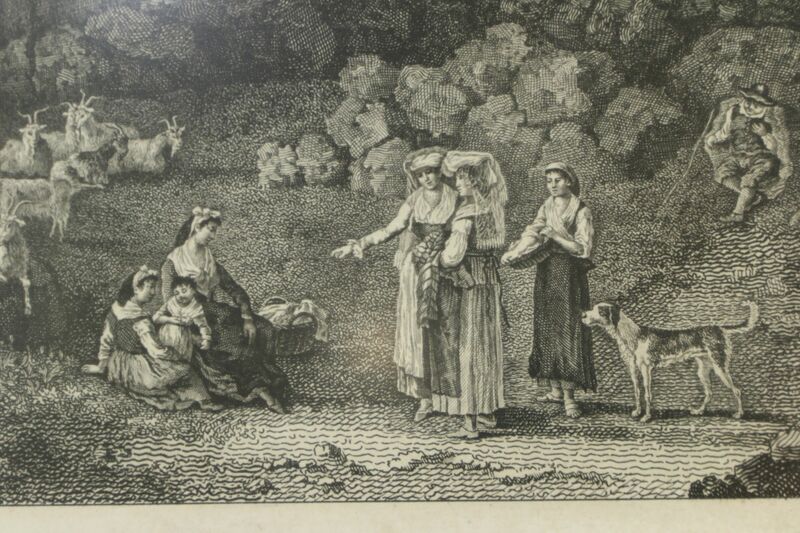 This exquisite print descended in a family in Italy, brought to America and was recently custom matted and framed with non-glare glass at a cost of $450. 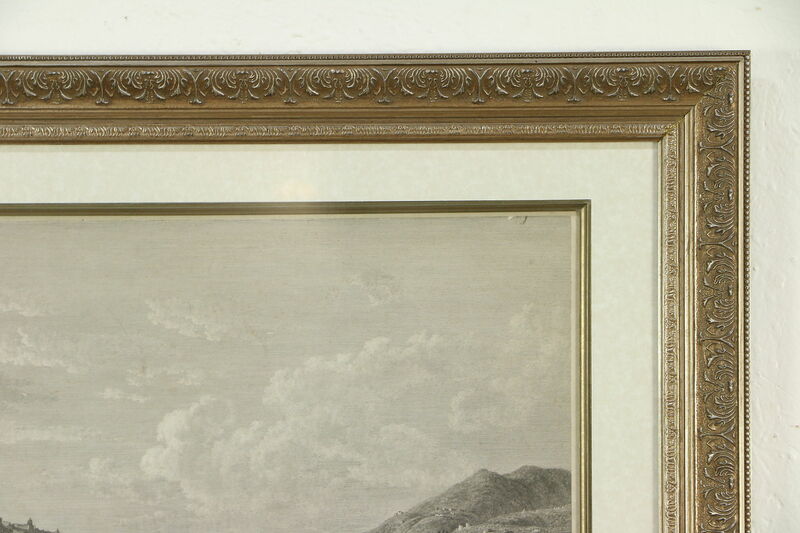 There is a crinkle lower right, see photos. 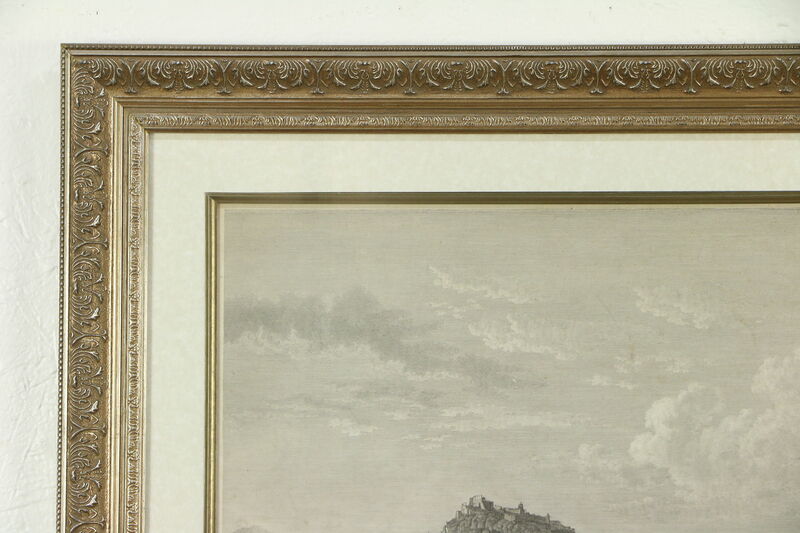 We have not opened the sealed frame for inspection of this richly detailed work of art. 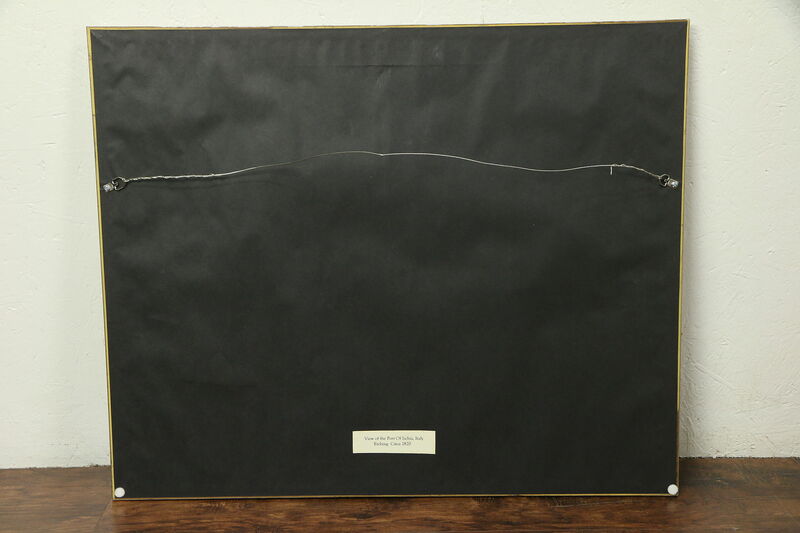 Overall size is 30" x 25" and 1 1/2" deep.